This training event will be led by renowned local art expert John Braseth and our own Tricia Tiano. Space is limited! If you registered and are unable to attend this event, please cancel your reservation in Digital Cheetah at least 2 days before the event. Click “GET” and bring the ticket with you the night of the training. 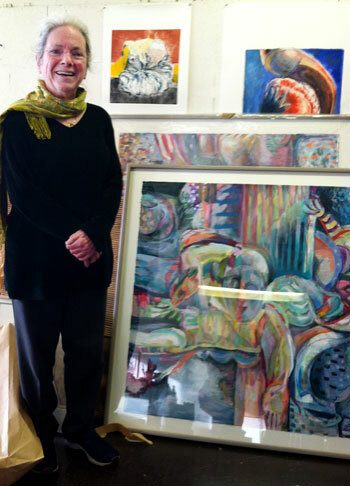 Arlene Lev in her studio. Eastside school districts this spring, in partnership with the Bellevue Arts Museum. Arlene spoke about her process when painting. She says that when she works she makes a soup of color and then works out the rhythmic movement. From that soup, she brings out the image. “I haven’t a clue what I’ll be doing before I start.” Her early work is abstract while her more recent work is more representational and uses less color. Her work is very personal and autobiographical. She has a studio in her home in Seattle and has her own press to create mono prints. Committee members were even spontaneously invited to see her studio upstairs. 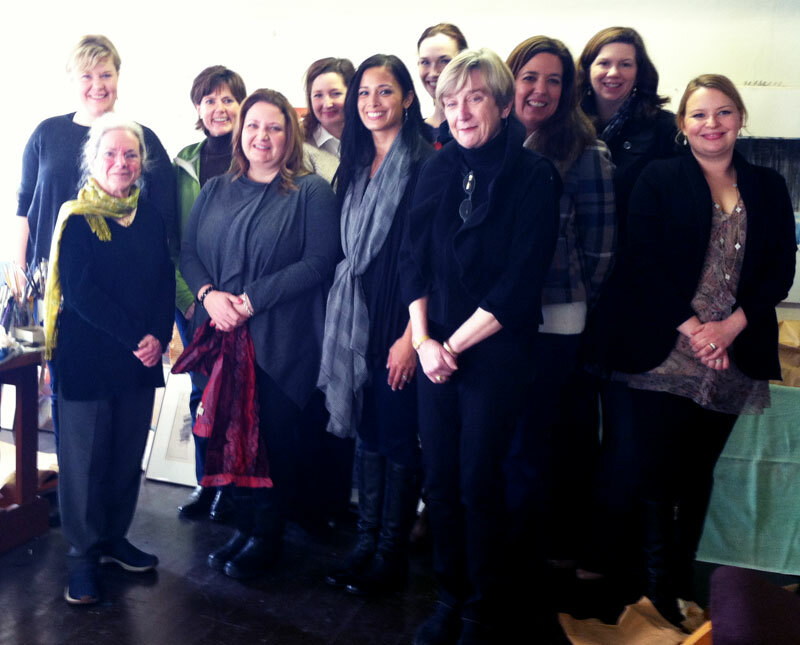 The NW Art committee visits with 2-3 living artists every spring who are represented in the JLS collection. NW Art Committee visit the studio of Arlene Lev.